Dickson Carr's heyday was in the 30s and 40s. By the late 50s, he seems to have been running out of steam, although he was not an old man. His powers of invention were, however, flagging, and I'm afraid this is evident in my Forgotten Book for today, The Dead Man's Knock, published in 1958. It's a Fell book, but it's set in the US (Fell is on a trip over there), in academe in Virginia. The book begins with an account of various spiteful pranks in college, very faintly reminiscent of t those in a very different book, Gaudy Night. We are introduced to Mark Ruthven and his wife Brenda, whose marriage seems to be threatened by a woman called Rose Lestrange who has, Brenda thinks, designs on Mark. Rose hasn't made herself popular in the community, and she soon winds up murdered. This story has a locked room element, as well as a "lost" Wilkie Collins novel, which gives the book its title. But Carr doesn't make enough of these ingredients, and I'm afraid the result is very thin far. The characters spend too much time in neurotic squabbling, and I found myself unable to care about them, or about the mystery. This isn't a good Carr. I looked around for other views to see if I was being too harsh, but I'm afraid The Puzzle Doctor, for one was also unimpressed. Stranger in Town is a black and white movie adapted from a novel by Frank Chittenden called The Uninvited. I know very little about Chittenden, but he appears to have produced five novels, generally as by F.A. Chittenden. This one appears to have been his last effort, which is surprising, as it was adapted for radio even before being filmed - a successful note to bow out on, if one assumes he gave up writing crime fiction afterwards. The director was George Pollock, today remembered by me as the director of Murder Most Foul, the movie that introduced me to Agatha Christie. He was responsible for four Miss Marple films starring Margaret Rutherford, and also for the 1965 film Ten Little Indians, a somewhat regrettable version of Christie's finest novel. He wasn't Hitchcock, that's for sure, but he was a competent entertainer. In this story, a moody composer is murdered, and his former girlfriend (Ann Paige) mourns him. The death is put down as suicide, but once John Madison (played by Alex Nicol) turns up and starts poking his nose in, the villagers become increasingly defensive. Surely it wasn't a case of murder? Well, we can predict the answer long before a second death occurs. The story is so-so, and the real joy of this film lies in the supporting cast, which features actors who became more successful than the lead actors (whose performances are not terribly gripping). So we have Willoughby Goddard, so wonderful in the William Tell series a couple of years after this film came out, Harry Towb, Charles Lloyd Pack, and the marvellous Arthur Lowe all in minor parts. Not a bad film, and I'd be interested to learn more about Chittenden. I've spoken about Peter numerous times on this blog. He was really the first person I got to know when I joined the CWA, since shortly after I became a member, he made contact with people living in the north of England to propose forming the northern chapter of the CWA. I met him and Rhoda when a small group of us met for the first time in Boroughbridge - it was a group that included Reg Hill and his wfie Pat, Bob Barnard and his wife Louise, and Margaret and Peter Lewis. They made me feel very welcome and became good friends. Peter remained the convenor of the northern chapter for many years, and also became a popular Chair of the CWA. Excitingly, he broke the news at one meeting that his "Constable" books, published under the name Nicholas Rhea, were to be televised, and he bought us all a drink to celebrate. The TV series turned out to be Heartbeat, one of the most successful shows of its era. So Peter became hugely successful, but success never changed him a bit. He was a kind, generous, down-to-earth man, a former policeman and press officer who took Heartbeat's success in his stride. The above photo of Peter and Rhoda was taken at Boroughbridge ten years ago, when we held a special weekend event to celebrate the northern chapter's 20th anniversary. And it was at Boroughbridge, in February, that we met for the last time. I spent many hours in his company over the years and enjoyed every minute. Like many other people, most of all his devoted family, I'll miss him a great deal. I'm just back from the annual conference of the CWA, which this year took place in one of my favourite cities, Edinburgh. I first visited the Scottish capital as a teenager and, as so many others have been over the years, I was bowled over by its character and its history. Way back in 1989, when I was a newish member, the CWA conference was also in Edinburgh. The organisers were Alanna and Alistair Kinght, and it was a great pleasure to sit next to Alanna once again at the gala banquet on Saturday and present her with a bouquet of flowers as a reminder of our appreciation of all she has done for the CWA. We broke the journey to Edinburgh by stopping at several fascinating places, and stayed overnight at New Lanark Mill on the banks of the Clyde. The evening walk up to the Falls of Clyde was memorable, as was a visit to the spooky ruins of the Carmichael House, on the way to New Lanark. Scotland is a country of contrasts, and duality was a theme of the conference's reception event, a double act by Ian Rankin and Alexander McCall Smith, which was thoroughly enjoyable. It was a great pleasure to meet Sandy McCall Smith for the very first time. The quality of the speakers throughout the weekend was of the highest order. Two retired senior police officers gave us gripping insights into major crime in Scotland, while a leading forensic soil scientist, Professor Lorna Dawson, and a top forensic pathologist, James Grieve (who features in Ann Cleeves' Shetland books) completed a very impressive line-up. Add to that an underground tour of the historic Mary King's Close and a superb after dinner speaker in Leeona, Lady Dorrian (the second most senior judge in Scotland, who turned out to be a keen fan of classic detective fiction), and you had the recipe for an excellent week-end. A group of local students, the crime writers of tomorrow, helped with the arrangements, and a Sunday afternoon event at Blackwell's saw the announcement of the winner of the young writers' flash fiction prize. Frederic Dard was a successful and exceptionally prolific French crime writer whose work is little known in Britain despite the fact that he's often been compared to his friend Georges Simenon. That should change now, since Pushkin Vertigo have begun to publish some of his books.in English translation. I decided to have a look at Bird in a Cage, first published in 1961, and now translated by David Bellos. This is a mystery set at Christmas, but if you're expecting a Parisian equivalent of The Santa Klaus Murder, you are in for a shock. It's really a noir story, with a melancholic mood, and a whiff of Boileau-Narcejac (when will more of their mysteries be translated into English, I wonder? Vertigo was far from being their only masterpiece). The protagonist is Albert, who has come back home after years of absence. His mother is dead, and he becomes entranced by an attractive woman he chances to meet. The woman has a child (although it has to be said that the narrative does not show her parenting skills in a particularly good light) but she seems as drawn to Albert as he is to him. Before long, however, we are confronted with a corpse, and in due course, in classic mystery fashion, the body vanishes. What is going on? I enjoyed this story, and felt that Bellos' translation worked well. It's a very short book, not much more than a novella, but none the worse for that brevity. I enjoyed reading it, and will look forward to reading more Frederic Dard. 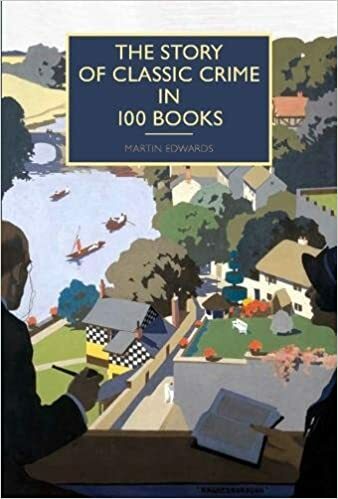 It really is a great thrill for me to be able to give advance notice of the publication (in July in the UK, August in the US) of my new book, The Story of Classic Crime in 100 Books, published by the British Library. The first thing for me to say is that although the book covers some of the same ground as The Golden Age of Murder, it's very different in approach, and in almost every other respect. It's not a list, not even a collection of personal favourites. The clue is in the title - I wanted here to tell a story. I've invested a lot of time and effort in this book, so naturally I'm anxious about how it will be received. The Golden Age of Murder is perhaps, quite a hard act for me to follow. So you will appreciate that I was excited (and relieved, let's be honest) when Publishers' Weekly in the US gave the book one of its prized "starred reviews" the other day. It's a great way for the story of this particular book to begin. 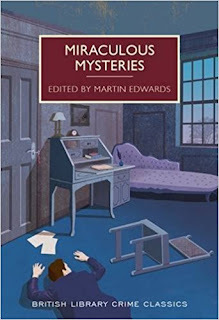 Written as a companion to the British Library’s Crime Classics series of reprints, this descriptive critical catalogue of 100 crime and mystery novels (mostly British) published in the first half of the 20th century is irresistible for aficionados and a reliable reading list for newcomers. Edwards’ picks, most published during detective fiction’s golden age between the two world wars, range chronologically from Doyle’s The Hound of the Baskervilles (1902) to Julian Symons’s The 31st of February (1950) and include, in addition to many of the usual suspects, a few outliers sure to enliven debates among diehard fans. He groups his selections into 24 chapters that cover numerous aspects of the literature—the great detectives, the fair-play mystery (epitomized by Ronald Knox’s The Body in the Silo), the miraculous or locked-room mystery (a specialty of John Dickson Carr), country house and manor murder mysteries, and so on—and whose ordering shows classic tropes giving way to newer approaches more resonant with modern times. 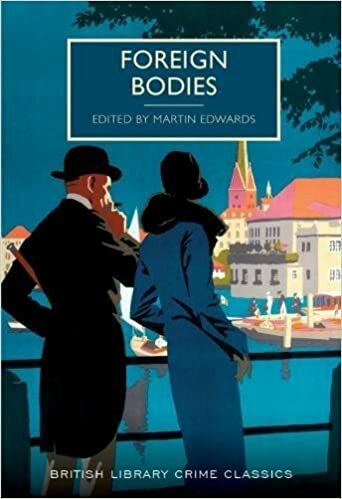 A crime novelist in his own right, Edwards (The Golden Age of Murder) brings a specialist’s discerning eye to discussions of each book’s significance, and without giving away key plot points. This is an exemplary reference book sure to lead readers to gems of mystery and detective fiction. The Martineau Murders is the last novel published by Richard Hull. An obscure and hard-to-find title, It appeared under the Collins Crime Club imprint in 1953, and it marked the end of an interesting literary career. I've mentioned my enthusiasm for Hull (real name Richard Henry Sampson) several times on this blog, and I've been trying to find out more about him for years.. In his day, he was much admired, and he continued to play an active part in the Detection Club, of which he was Secretary, for a long time after he gave up writing. It seems to me that he lost enthusiasm for fiction, as there is a touch of weariness evident in some of his post-war books. None of them lived up to his famous debut, The Murder of My Aunt. But The Martineau Murders represents a return to that book. Not because there are any common characters or a shared setting, but certainly some story elements are to be found in both novels. "My doctor has just left me" is the opening sentence. Alas, the medic has brought bad news to the narrator, the eponymous Martineau, or so it seems. But Martineau is a rather unreliable narrator, and much of the pleasure of the story comes from the reader's recognition of the gulf between Martineau's perceptions and reality. Some of this is, perhaps, rather laboured for modern tastes, and this is a book that (like one or two of Hull's other books) could have done with a meatier plot, but it is still quite entertaining. By the time this book was written, more than a decade had passed since the appearance of the last book by Francis Iles, the author whose Malice Aforethought was a profound influence on Hull. The two men laced their work with a good deal of irony, and the law of unintended consequences plays a central part in their fiction. So it is with The Martineau Murders, a village mystery with a pleasing if foreseeable twist in the final chapter. During my teens, I went through an Alistair MacLean phase, reading every thriller he'd written. I began with The Last Frontier,and took in classics like H.M.S. Ulysses and Where Eagles Dare along the way. In time, MacLean's writing seemed to me to deteriorate, and I stopped reading him. But one of my favourites of his novels was Fear is the Key, which impressed me with its plot twists and emotional drive. So I was glad to seize the chance to watch the film version, made in 1972,when MacLean's fame was more or less at its height. His stories were visual, and many were turned into films, most of which I watched - but somehow I missed this one. Perhaps because its cast was slightly less starry - although it did include a youngish Ben Kingsley, complete with a full head of hiir! Barry Newman plays John Talbot, the main protagonist. Newman was well-known as the star of the TV series Petrocelli, but for me he was never quite in the top league of action heroes. Here he does a competent job, but although it's perhaps a harsh judgment, I feel he didn't have quite the level of charisma, magnetism or however one describes it that seems necessary for the role of Talbot. The obligatory glamorous young woman is played by Suzy Kendall, who was once married to Dudley Moore. At the start of the film, Talbot is involved in a tragic but slightly mysterious incident. The action then shifts forward three years. Talbot is arrested and brought to court, where he shoots a policeman and escapes after kidnapping Suzy Kendall. There's a memorable car chase, and the plot twists come at acceptably regular intervals. Roy Budd supplies an excellent, jazzy soundtrack. Overall, a watchable action movie, but it's not of the same high quality as some of the best MacLean films. 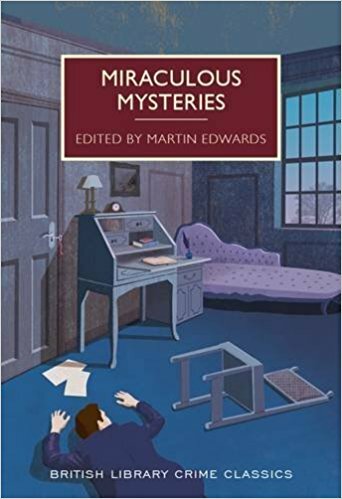 Today sees the UK publication of Miraculous Mysteries, my collection of classic locked room and impossible crime mysteries for the British Library. I've always had a love of this paradoxical type of puzzle, and this book is dedicated to the memory of Bob Adey, the greatest expert on the subject, who guided me to so many hidden gems prior to his untimely death. The first locked room detective story, "The Murders in the Rue Morgue" by Poe, was a short story, and I feel that the short form is best suited to the locked room puzzle, because of the necessarily fantastic nature of most of the plots. Of course, there are some fine novels featuring impossible crimes, and John Dickson Carr wrote a bunch of them. But I see these mostly as exceptions to the general rule. As ever, I've tried to include a range of familiar and unfamiliar authors. We all know Conan Doyle, but Grenville Robbins is long forgotten. And so too is Marten Cumberland, even though he had a long and relatively successful career. I'm very pleased too that I've been able to include a little known story by Christopher St John Sprigg that I found highly enjoyable. I'm delighted by the initial reaction to the book, including this splendid review. It would please me enormously if this book were to sell well, since there are plenty of good classic impossible crime stories around, and I'd love to put together a follow-up volume. But that lies far in the future. Right now, I'm celebrating this book, and I hope that it provides thousands of readers with plenty of entertainment. Freeman Wills Crofts published Inspector French and the Starvel Tragedy (aka The Starvel Hollow Tragedy) in 1927. It's often cited as one of his best books, and I concur with that view. The story is readable from start to finish, and the plot is worked out rather cleverly. So although I latched on to one aspect of the solution at an early stage, Crofts managed to confuse me with some rather neat twists. At first, the focus is on an attractive young woman who lives with her miserly uncle in a Yorkshire mansion - the location seemed from internal evidence to be somewhere in the vicinity of Helmsby and Thirsk. After she goes away on a short visit to a friend, she returns to find the house burned to the ground. Three corpses are discovered, evidently those of her uncle and two servants. At first it looks like a tragic accident. But a local bank manager takes a different view, and before long Scotland Yard are called in, in the person of good old Inspector Joseph French. He's portrayed in a rather human fashion, yearning for promotion and keen to keep on the right side of his superiors, but utterly relentless in his pursuit of the guilty once it becomes clear that this is a case of arson and multiple murder. As with The Cask, Crofts manages to sustain interest in the detailed police investigation by offering a sequence of surprising developments. I enjoyed this book - which was reissued by Hogarth back in the 80s - and can recommend it to anyone who likes Croftsian writing. Crofts was an engineer by profession and this mystery is certainly engineered with high calibre craftsmanship. Because Hawaii is so far away from Cheshire, I wanted to break up the long journey home. And where better to do so than a city I've long wanted to discover, San Francisco? The city by the bay did more than live up to expectations. It's now my favourite American city. I may not quite have left my heart there, but I found it quite enthralling. It's a city with strong crime fiction associations. Laurie R. King lives there, and she gave me a few tips about places to visit. I was fascinated by my first glimpse of Alcatraz, scene of some notable movies. I suppose, though, that I associate San Francisco most closely with two films. First, Bullitt, the private eye film legendary for its car chase. And second, Vertigo, one of the best crime films ever made; I've seen it four or five times. And of course the full list of famous films set there is lengthy. I'm often teased for my unashamedly touristy devotion to hop-on, hop-off buses, but I'm unrepentant: they make a very good way to get one's bearings in an unfamiliar place, and my first aim was to do just that. After riding around the city, the next step was to explore Fisherman's Wharf, and Pier 39 (I hadn't expected to see large numbers of sea lions right next to it) and take a ride on one of the famous cable cars, which I loved. Then there was a night bus tour, a chance to see both the Golden Gate Bridge and the Bay Bridge lit up against the night sky. All very memorable. Next came a trip to Sausalito, an appealing little town with a Riviera-like atmosphere. From there we took the ferry across the bay, past the Golden Gate Bridge, past Alcatraz and back to the ferry terminal. And in the terminal building, while having a snack, I spotted a bookshop called Book Passage. Unable to resist, I had a look inside and to my amazement found two of the anthologies I've edited for the British Library. Quite a treat. Further exploration followed - the "Crookedest Street", which is unlike anything I've ever seen - Chinatown, Japantown, and the Painted Ladies (the latter a group of houses on Alamo Square). My plan now is to read some more crime fiction set in San Francisco. I'm familiar with Laurie's books - any other recommendations?. My trip to Hawaii was replete with crime story connections. Quite apart from Charlie Chan, I cast my mind back to two shows I watched as a small boy - Hawaiian Eye, and Hawaii Five-O. One tour on Oahu even gave me a sight of the island used as setting for another show I enjoyed when very young - Gilligan's Island. I doubt it would stand up to scrutiny now. And though I didn't bump into Steve McGarrett, I was delighted to share the adventure with Steve Steinbock. There were many conversations about crime fiction late into the evening. After Oahu, we went to Kauai, where Steve hired a car, enabling us to cover much of the island, including a canyon described as the island's answer to the Grand Canyon. Quite a spectacle. Kauai really is a tropical paradise, and I have come up with an idea for a story set there. I'm hoping to start work on it shortly. I'm no wildlife expert, but Hawaii is full of fantastic opportunities to see the indigenous wildlife. We saw everything from giant turtles swimming off the amazing Spouting Horn on Kauai, to wild pigs at a waterfall a few miles from Lihue, mongooses aplenty on Oahu, and roosters everywhere. There were hula dancers aplenty, but the most memorable sights came when we went whale watching on an eco-ferry. I once went dolphin watching off Gibraltar, and saw not one dolphin, but this was very different. The sea was full of whales, and it was fascinating to watch them. I found myself intrigued by the Hawaiian way of life, as well as by the wonderful scenery. A memorable trip, for sure. Right now, I am adjusting (rather slowly) to British Summer Time after a trip which took me to the other side of the world. The jetlag was definitely worth it - I had an amazing time, and feel fortunate to have spent just over a fortnight globe-trotting after my previous travels in recent weeks. The reason for this jaunt was that the Left Coast Crime convention, which I've attended once before, in Seattle, was being held in Hawaii this year. I felt that Honolulu Havoc presented a once-in-a-lifetime chance, so I grabbed it. The convention was fun. I moderated one panel, on the theme of criminal justice, with four American panellists whom I hadn't met before but, who to my delight, proved to have plenty of great stories to tell. And I took part in a Golden Age panel, very well moderated, with colleagues including Ragnar Jonasson and Steve Steinbock. This was tremendous fun, with a very good crowd. It seems almost incredible, but in the last six months I've talked about Golden Age mysteries in New Orleans, Madrid, Dubai, and Hawaii. There was also the chance to catch up with a range of old friends, including my delightful American publishers, Rob Rosenwald and Barbara Peters, who were in grand form. As I've said before, the social side is what makes conventions, in my opinion, so well worth the time, effort, and cost. As friendships grow, and mutual understanding develops, opportunities for worthwhile writing and other projects can sometimes emerge, and this is often very exciting. I enjoyed meals with my publishers, with Laurie R. King, Bill and Toby Gottfried, uber-Sherlockian Les Klinger, among others. I was also glad to have a chat with Jonathan and Faye Kellerman, whom I hadn't met before, and another guest of honour, Colin Cotterill. Steve and his wife had agreed with us that we'd share each other's company on three Hawaiian islands, and this worked out wonderfully well. One of our dinners even took place in a restaurant named in tribute to Charlie Chan.